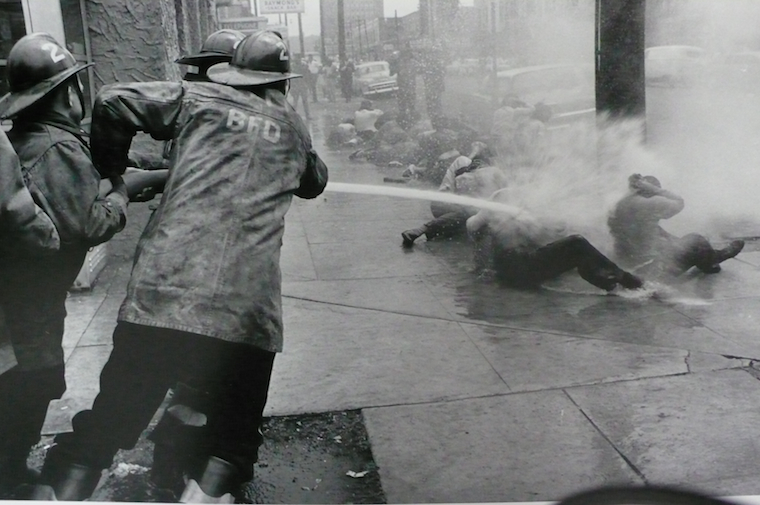 Charles Moore, Downtown Birmingham, Alabama, May 3, 1963. Courtesy of Estate of Charles Moore. Unfamiliar Streets begins from the proposition that streets, like the cities in which they are located, have no single, fixed identity or meaning—thusly, we should think of photographs taken in and of these streets as correspondingly variegated. This book offers a new model of historical analysis in response to challenging, yet pivotal, questions: How could writing on street photography better attend to the specifics of the urban locations of their making? How might those specifics of the street then inform the meanings attached to such pictures? Through case studies devoted to photographs by Avedon, Moore, Rosler, and diCorcia, Unfamiliar Streets answers these questions. Approaching street photography as an effort to represent the complex, often collective, and sometimes fraught experiences of city streets, yields a different and intrepidly social mode of historical analysis. Katherine Bussard is the Peter C. Bunnell Curator of Photography at the Princeton University Art Museum. Previously, she served as associate curator of photography at the Art Institute of Chicago, where she organized a number of exhibitions, including So the Story Goes: Photographs by Tina Barney, Philip-Lorca diCorcia, Nan Goldin, Sally Mann, and Larry Sultan, for which she wrote the accompanying catalog (2006). Bussard is coauthor of Color Rush: American Color Photography from Stieglitz to Sherman (2013). She completed her doctoral dissertation on street photography at the City University of New York and contributed a related essay to Street Art, Street Life: From the 1950s to Now (2008). Bussard is currently coauthoring a publication exploring the intersections of photography, architecture, and urban studies in New York, Chicago, and Los Angeles during the 1960s and ’70s, for which there will be an accompanying exhibition.